In previous part we had a look at the different blog structuring elements, and how best to place them in order to maximize your blog’s effectiveness. In this post we will be looking at pages every blog needs to have. Every blog you might have come across includes certain pages likes about me, contact me, etc. 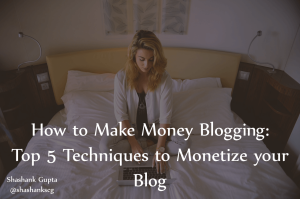 Do you need to add these pages to your blog too? What exactly should feature on these pages? Why are pages required, can't we input the same information in a post? We will be looking at answer to all these questions and much more. Lets get a clear grasp on the differentiation between a page and the post at the outset itself. In this article we will be discussing all about the different types of pages you can create and what to add to them. Once you have clarity on the difference between these two type of content presentation you will be able to craft better content for each of your pages. Content once added is not edited much, and is usually considered to be static. Evergreen content is added to pages. Content added to posts is meant to be dynamic, it can and is oftentimes changed over period of time. Content added to posts is time limited and might become obsolete over time. Pages are designed not to show up in RSS Feeds Post by default when made live are included in the RSS feed. Pages by default do not include timestamp, i.e they do not have date or time of being created included in their format Posts includes content that might become less relevant with passing time. Hence posts by default are designed to include timestamp. About Page – This is essential page as it gives new readers an introduction to you and your blog. This section should include details about you, with the aim of allowing readers to form a connect with you. Most common mistake bloggers make is making their about me page focussed exclusively on themselves. But that is not what will get readers hooked to you. Every person is interested in ‘what's in this for me?’. You need to include answer to question like – what's your blog about? why do you blog? and how can readers benefit from your blog? These are answers that will enable your readers to decide on what's in it for them, why they should follow your blog, and why they should join your subscriber list. Always add a subscription form to your About me page. 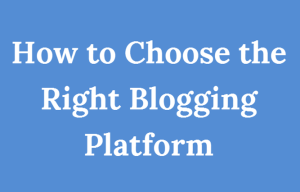 Lots of leading bloggers have seen great conversions from this page. If you play it right visitors to this page are most likely to sign up to your subscription list. Contact Page – A page with all information about how to reach you. You can add as much as or as little as information you are comfortable with on this page. As a thumbrule include your email id or a contact you form, and link to your social media profile. For those of you who are not comfortable giving out their personal social media profile here, create one for your blog and add that here. It will also help brand your blog. Your readers, potential partners, advertisers, press, other bloggers and many more opportunities will be seeking this information. Make sure you have correct information on this page. If you are managing more than one blog, it is best to keep separate contact point for different blogs, this helps in keeping the communication organized. Use a professional email ID for your contact page. Do not give out, personal email ID. Legal Disclaimer Page: We are all bound by legal framework, irrespective of where we reside. As a blogger you need to be aware of basic legalities. This page needs to include information like – Advice provided on this blog is for guidance purpose only, please consult your legal advisor/financial advisor/healthcare provider etc before acting on any of it. The blog author is in no way affiliated to any of the companies he/she writes about, in case you are affiliated, clearly mention the same here. This kind of information will save you lot of legal hassle. You can also mention which legal jurisdiction will your blog fall under in case of any legal dispute. 404 Page: As your blog grows, so will the chances of your readers landing on a dead link/page. At this point your readers will be shown a boring standard 404 page. This is a golden opportunity, tapped into by many successful bloggers, design a custom 404 page for your readers. You Can make the page funny, interesting or more helpful. whatever you do, customise it. Use it as a part of your branding strategy. Getting Started Page: As your blog grows, so does your posts, and at some point it might start getting a little overwhelming for new readers. Once your blog reaches this stage, I strongly recommend adding this page to your blog. It should contain information that will ease in new readers into your blog, you can include – Top 5 post from your blog, a layout of how your blog is planned and in which section reader can find what information, how best to use the blog, a set of evergreen articles that new readers can start reading. This page helps orient new readers to your blog, and hopefully get them to subscribe to your blog as well. Resources Page: If you write about topics where you regularly recommend or use products, a resources page is a good idea. Here you can list down all your recommended resources, products, ebooks, courses, videos etc. This page allows you to organize your recommendation and gives readers a one stop place to browse through the stuff you recommend. Advertise With us Page – You are looking to monetize your blog, so make sure you have a well structured advertise with us page. This will help advertisers get a snapshot of what your website is about – what advertising options you offer, mention separate contact point if any for advertisers, define your audience for the advertisers, include all details that a potential advertiser would like to know. Well written page will benefit both you and advertisers by eliminating need for useless communication over and over again. 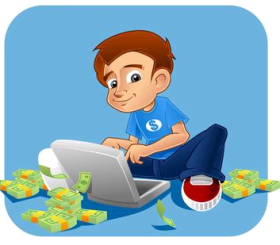 Affiliate PreSell Page – If you are advertising affiliate links on your site, a dedicated affiliate page is a great idea. On this page you can write short description about the product/service, and link it back to other post on your blog which talk about this product. 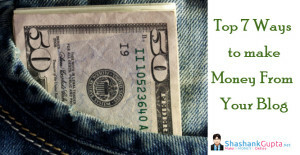 This allows you to pre-sell the product and improve your chances of making affiliate sales. This is an essential page if you are dealing with products which have average or below average sales page, you can go the extra mile to convince you readers about a particular product using this page. Landing Page – If you run ad campaign for your blog, a dedicated landing page is a must. Do not link your ad campaign to your blog's homepage. This reduces the conversion potential of your ad campaign. Landing page enable for better conversion. You can also direct your audience from social media profiles like Twitter, FaceBook etc also to this landing page. A dedicated page will help you convert this audience better. Thus giving you better value on your investment. Testimonials Page – Others positive opinion of you will influence readers to subscribe to your blog. Whether you are selling affiliate products, or membership, readers are more likely to join you or buy products from you when they see and read other readers positive experience with you. So making a dedicated Testimonials page makes sense. Testimonials can be in form of text, or video. Text testimonials are the mostly commonly used, however genuine video testimonials are the latest trend. In case of text testimonials always try to add photo of the testimonial provider. Photo helps build the testimonials credibility and add a face to the words. Guest Bloggers Page: This one is essential if you are looking to entertain guest bloggers on your site. On this page you can provide, basic guidelines for your guest bloggers, standard writing format for your blog, a list of acceptable and unacceptable stuff, and dedicated contact point to reach out to you. Also add information about what's the post approval process, how many days it takes and what's your copyright proces. Do you do only exclusive posts, or do you also host posts shared on other blogs as well. Also specify whats the guest post submission process, do you only need the post title and brief outline of its content, do you need the entire content at the outset? Specify how you would like things to be presented. 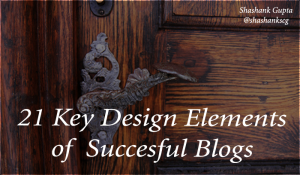 Links Page/BlogRoll Page: To be successful in your niche, you need to read competitor's blog and keep a track of what's being talked about in your niche. 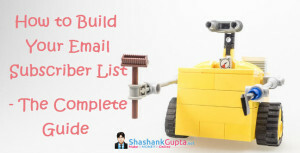 For this purpose you can create your own list of blogs to follow. BlogRoll is the place to list down these blogs, this also allows your readers to discover your interest. Additionally, the blogs you list on blogroll will be happy to see their name on your blog, and might reciprocate your gesture, thus earning free exposure and links for your blog. You might notice that traditional WordPress.org setup allows for adding blogroll in the sidebar. This is not the most ideal presentation. It pulls away attention from you post, does not provide any space to write a brief intro about the blog/blogger, and most importantly it crowds up your blog. Creating a dedicated Links page is the perfect solution for these problems. This is a basic list of pages your blog needs. Of this list your blog might require all or some pages, or maybe some more pages apart from those mentioned here. Whichever pages you add to your blog, make sure the content is crisp and evergreen. Place your pages, in manner that's easy for readers to navigate. Most blogs feature their pages in the navigation bar itself, for visibility and easy access. With all things in place, in next section we will move on to creating content for your blog. Content is the life of very blog, and it can make or break a blog. Creating quality content with right use of images, and lists can make a good content look great. Do you need a content creation process? What is writing style, why is it so crucial? Some blog post ideas to get you started. And a list of ‘writer’s block post ideas to get you out of crunch times. We will have a look at all this and much more in our next section. So until next time, keep working on your blog. Do write in the comments section below and let me know what pages do you include in your blog?